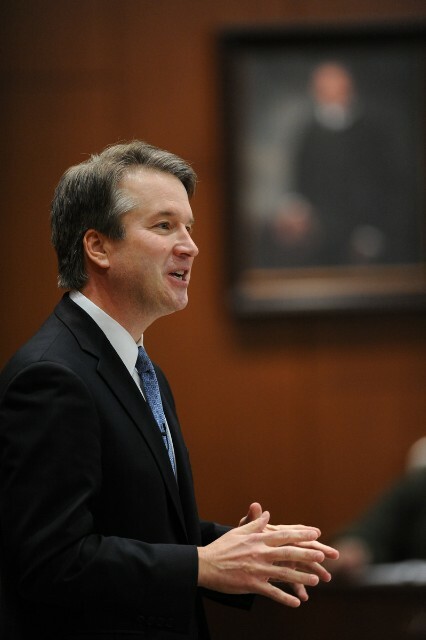 The Democrats’ current position on the Supreme Court nomination of Judge Brett Kavanaugh is: We cannot have someone addicted to beer on our highest court! What if a foreign power were to ply him with this nectar in a can? Talk about taking control of our government! Suppose they throw in a case of Weihenstephaner Hefeweissbier? A bitter college roommate is going whole hog, wailing, He lied about being a beeraholic. By the media’s account, Kavanaugh was a bounder, a brawler and a drunk. And yet he still managed to graduate at the top of his class, go to Yale, then to Yale Law and work in the highest positions in government. I am in awe of his manliness. Hemingway has nothing on this guy! He should be our president. To paraphrase Abraham Lincoln after being told Ulysses S. Grant was a drunk, let’s find out what Kavanaugh drank and send a barrel of it to every college student. Read the rest from Ann Coulter HERE.